Getting rid of anything that doesn’t “spark joy” seems to be the latest craze and I’m 100% on board. Since we relocate every couple of years (Army life! ), I try not to collect too much stuff in an effort to simplify our many moves. However, in the three years we’ve lived in Texas, we’ve somehow managed to accumulate ALL THE THINGS. I mean, we have 2 storage units, for the love of God and I’m chomping at the bit to PURGE. Take for instance, my closet. Although it’s not the worst I’ve seen, it’s definitely messier than I’m used to. Give me another three years and you might just see me on an episode of Hoarders. 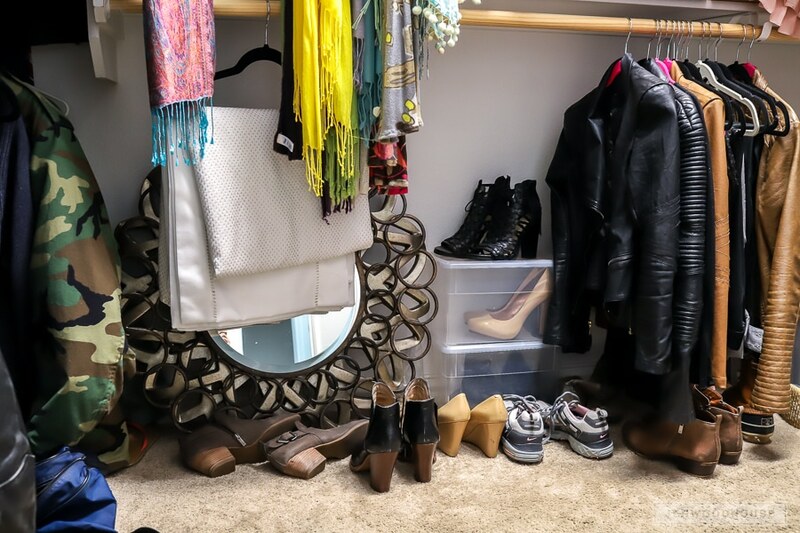 In this small space, we have seasonal linens, scarves galore (I think I forgot we live in Texas, aka Dante’s Inferno), and not one, but two random mirrors… in addition to the countless pairs of shoes and multitude of clothing I rarely ever wear. And lest you think these are all of the shoes I own, rest assured, I’m not showing you the mountain of shoeboxes just outside of the frame that are stacked high, from floor to ceiling. Yeah. I’m about to Marie Kondo the crap out of this. 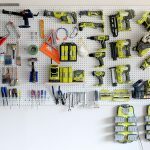 And because misery loves company, I thought it would be fun to challenge several of my blogging buddies to organize a space in their home too! I’m calling it ACCOUNTABILITY. Be sure to check out the links below to see what we all made! 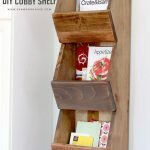 I had some scrap walnut plywood laying around the shop from another project, so not only was this DIY shoe shelf organizer quick and easy, but it was free! I also got to try out some new tools in the process. 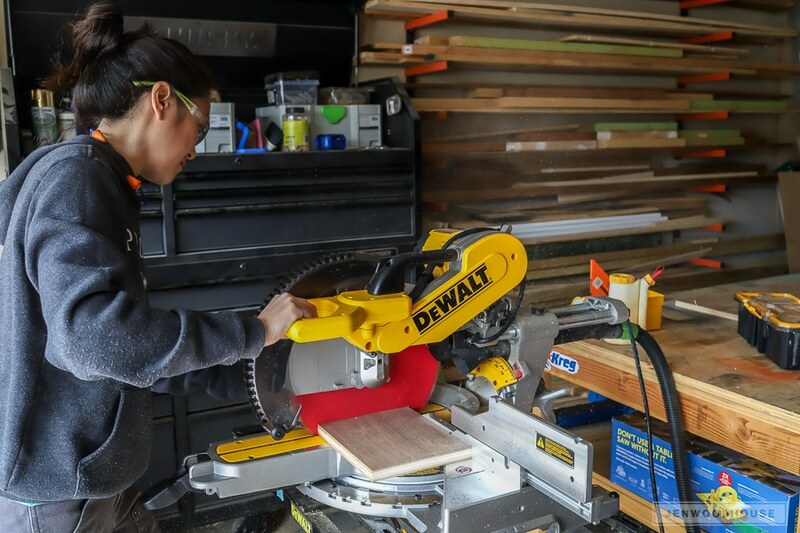 As my first Mother’s Day gift, I got my very first compound miter saw: a 10-inch Dewalt that I absolutely loved for years and years. 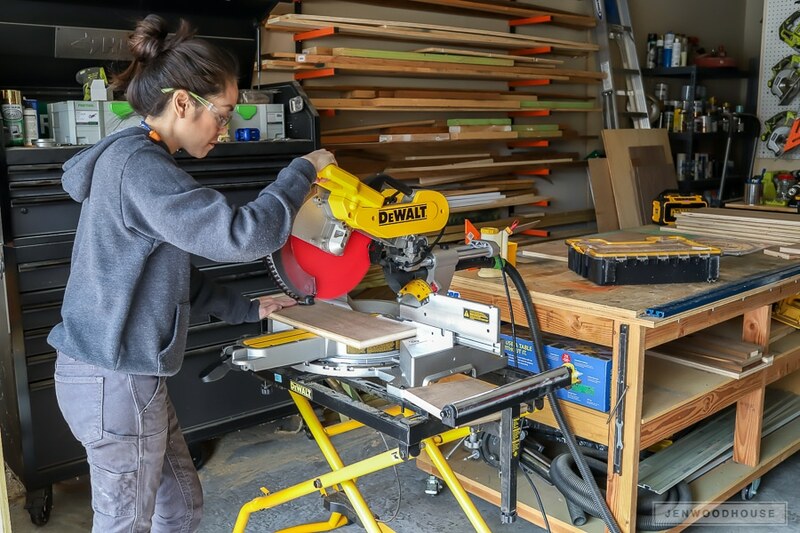 As part of the ProSpective tool review program, The Home Depot sent me this new DEWALT 15-AMP CORDED 12 IN. 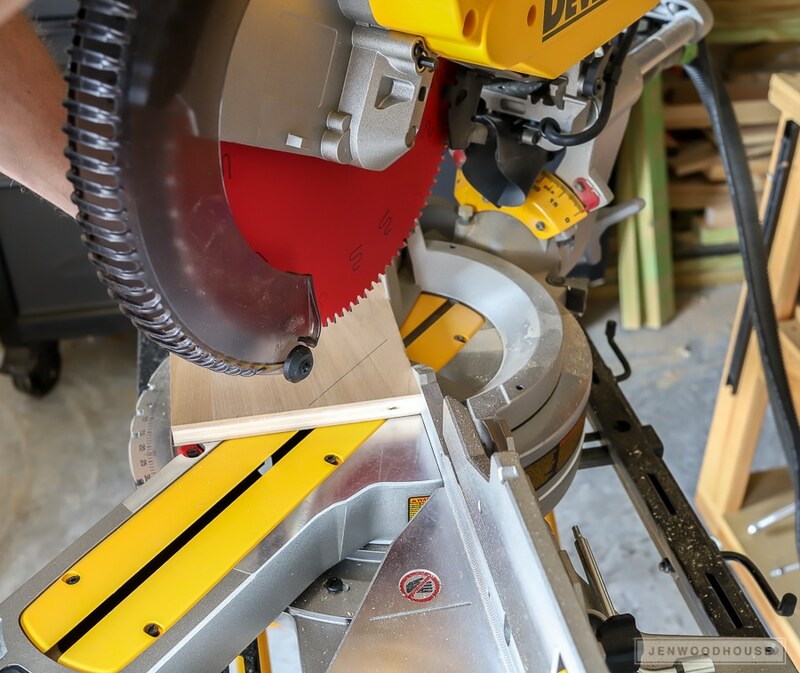 DOUBLE-BEVEL SLIDING COMPOUND MITER SAW and it was like going from a Peel P50 to a Maserati. 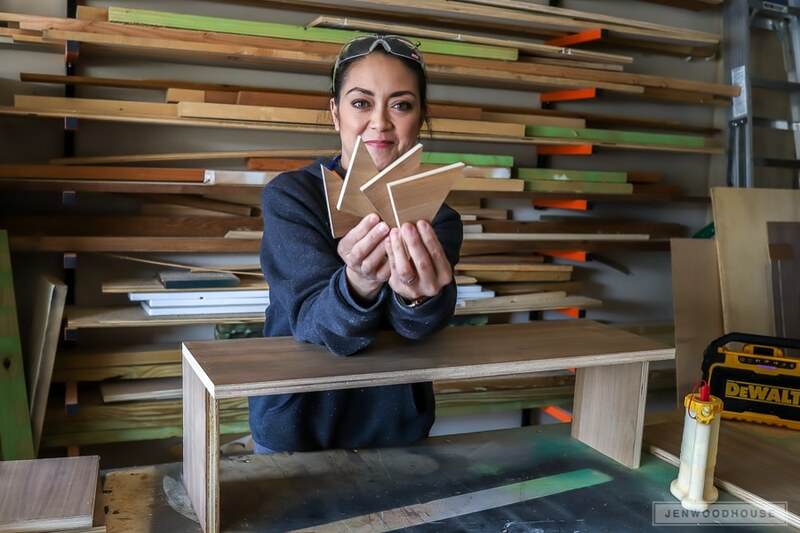 The sliding 12-inch blade allows me to cut much wider stock – no more flipping boards to make the cut and the accuracy is dead on. 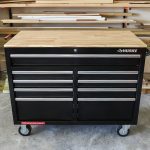 I was able to use it straight out of the box – no adjustments or additional calibrations were needed to get a precise cut. 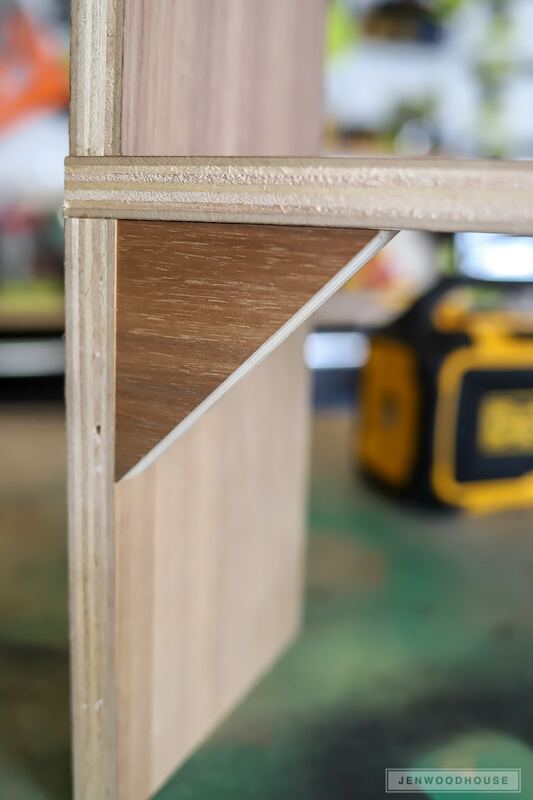 The dual bevel provides more flexibility and ease of use, while the miter cuts up to a 60º angle. The saw comes with an attached dust bag, but we hooked up the shop vac and experienced minimal sawdust. 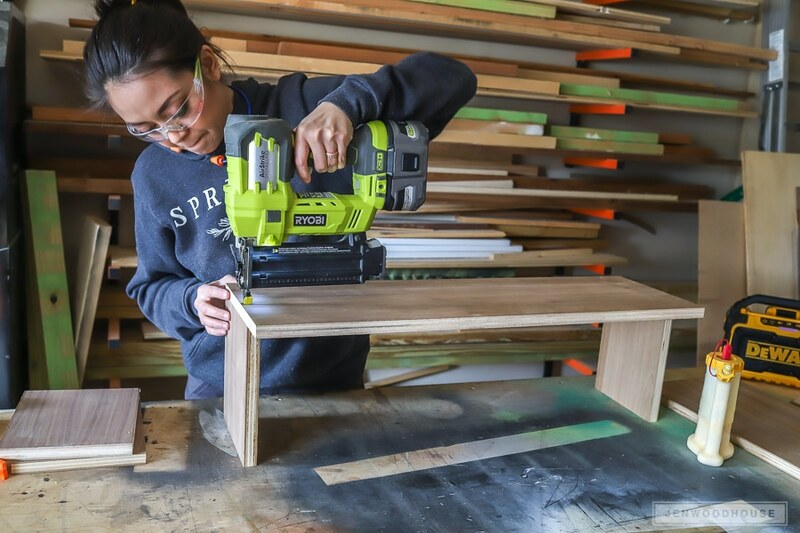 People always ask me what tools to buy to start out with and while you may be able to skimp on some tools, I always recommend buying the best miter saw and table saw you can afford because these will be your workshop workhorses. It definitely pays off in the long run, both in safety and productivity. Once all of my boards were cut, it was time for assembly. 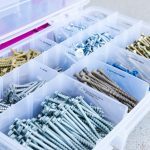 Brad nails and wood glue made construction easy and fast. 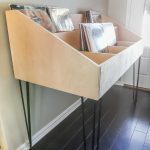 And let’s not discount the importance of music in the shop. I love jamming out to some tunes while I build. If you could be a fly on the wall, you’d be able to witness my sweet dance moves. Look, I’m not hating on The Eagles, but they simply cannot compete with The Fab Four. I mean, 17 number one hits vs. 5. Here I am turning up the volume because… Queen. Queen is absolutely acceptable in my shop. 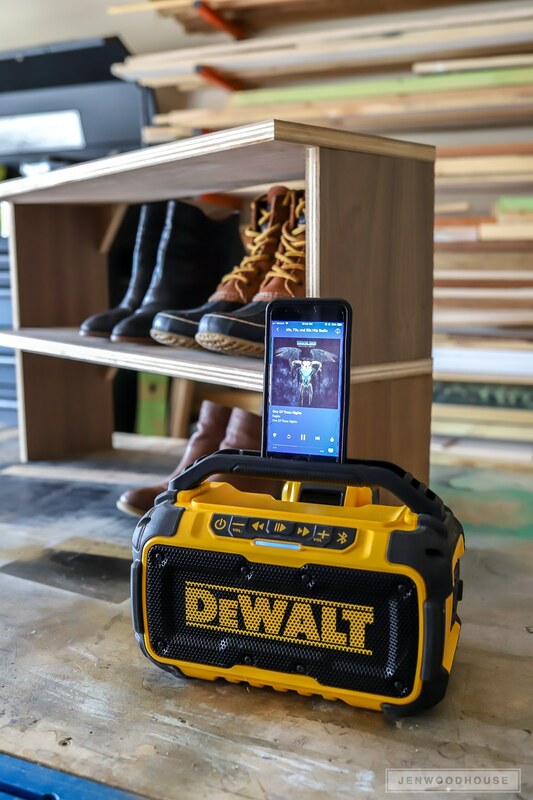 The new DEWALT 20-VOLT MAX BLUETOOTH SPEAKER is designed to be the most versatile Bluetooth speaker on the market. 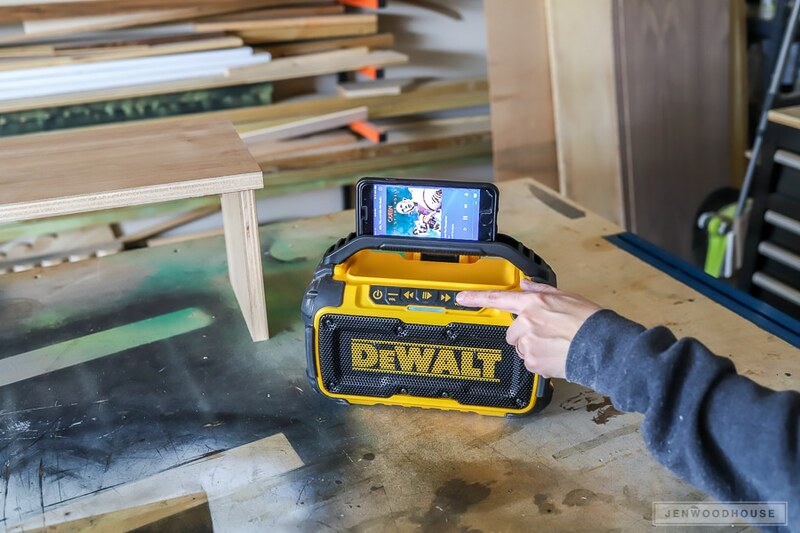 It runs on both a battery pack or can be plugged into a power outlet. 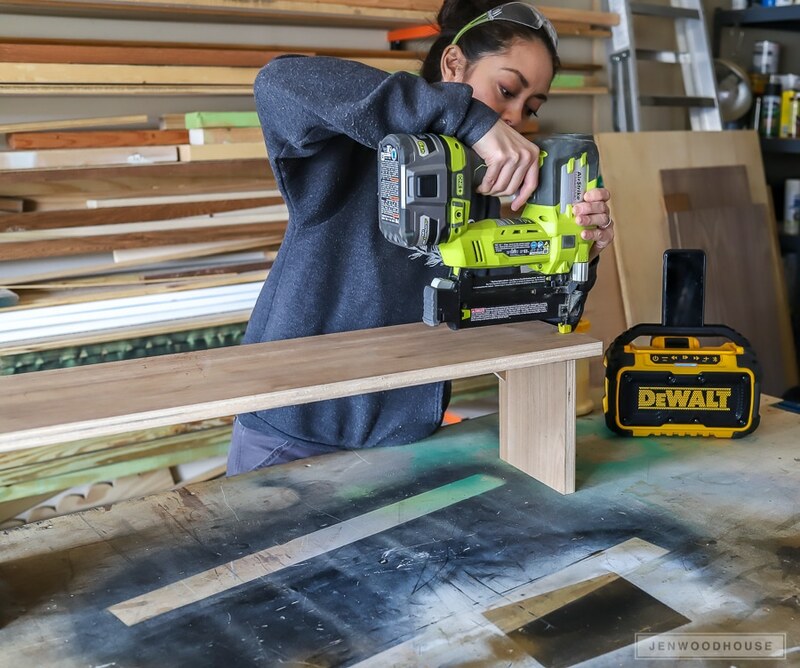 I like its lightweight, compact size, yet it’s rugged and durable enough to withstand tough jobsite conditions. Conditions where two married people are ready to fist fight over what station to put it on. I added these corner blocks to strengthen the whole structure. Again, the name of the game here is minimal effort and materials, without compromising integrity. Mission accomplished. Well, well, well, would ya lookit that. It would appear that “He Who Shall Not Be Named” strikes again. 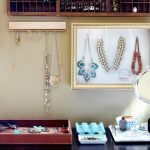 Want to see more clever organizing solutions? 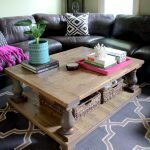 Check out how my blogger friends organized their spaces! LOVE that walnut plywood Jen! Simple and perfect! And yeah, I would love to know how that happens with all.the.shoes. Happens to me too! Lol! That plywood looks beautiful. 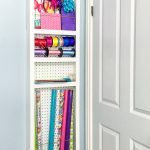 I need to make some of these for our closets now that I see how much they hold! 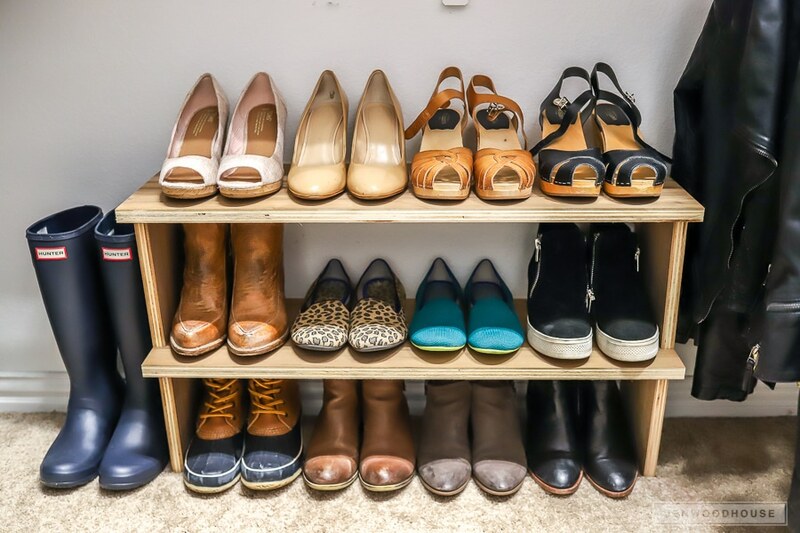 I’m not sure I’ll ever have enough shoes, OR enough shoe organizing furniture! I could definitely use one of these in my closet. Oh man, the battle here is over who grabs the speaker first! The hubs loves its sound and keeps on stealing it from the shop. :/ And hey, I need a couple of these shoe organizers by the door getting from the garage. Thanks for the challenge! 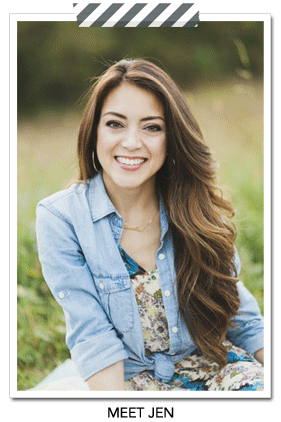 Simple but oh so stylish and organized all in one swoop. Great solution. 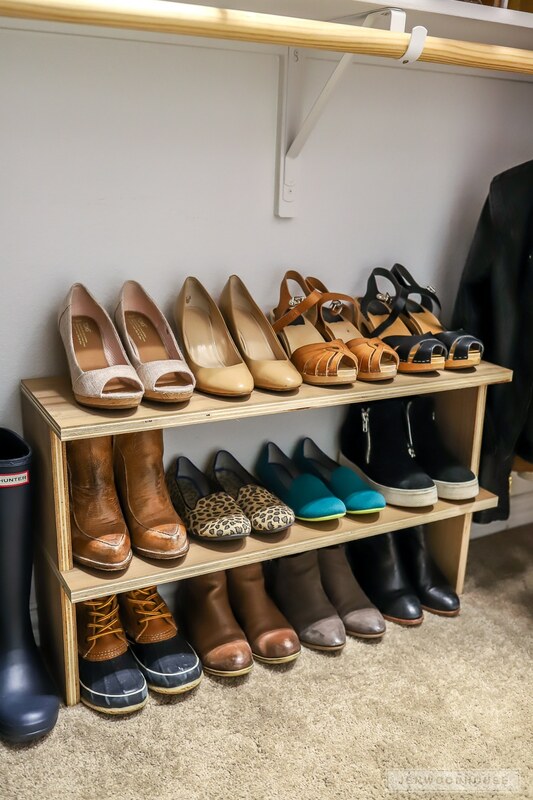 Shoes + Organization + easy +scrap wood what more can a girl want 🙂 Plus music… so much fun! I so need this in my life! 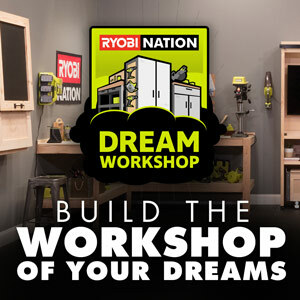 You make me want to build more! 🙂 Pinned!